If you’re able to increase your sales, then you can add more products to your website and increase your profits even more. When you rank higher in Google, you can literally write your own paycheck: You’ll drive traffic, gain more traction, and build an authoritative eCommerce website. A report by Chitika shows that the higher your web pages rank in Google, the more targeted and qualified buyer traffic you’re likely to get. It’s true that thousands, if not millions of websites are competing for the top positions in Google right now. But if you play your cards well, you can still reap good results. Therefore, your chances of survival are minimal. Coupled with the fact that 93% of online traffic to eCommerce site, comes from search engines. Generally, Search Engine Optimization (a.k.a. 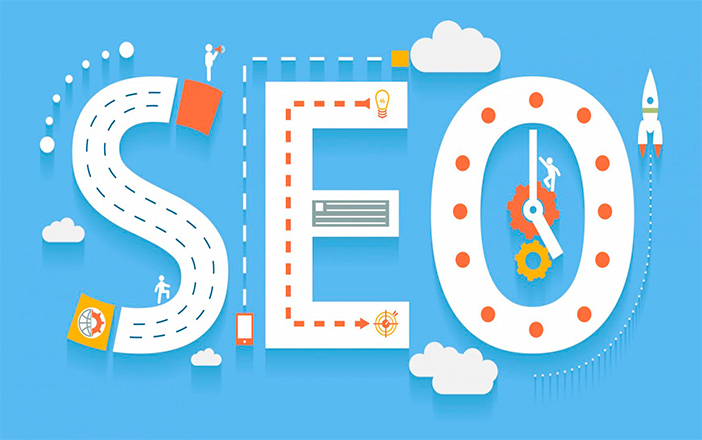 SEO) refers to the process of optimizing your web pages for search engine users with the right keywords and aligning your content to suit their intent. Search engine marketing gets easier when you target long-tail keywords. If you want to dominate organic search results for less competitive keyword phrases, you can use Ferzy keyword tool — it’s really good. Through this channel, you can increase the amount of traffic that’s coming to your website. Trust me, you need to embrace search engine optimization. The benefits are enormous. In short, if you’re not skilled at it, you can outsource to an agency that understands the channel — and have verifiable results. Though it’s not as easy as it sounds. 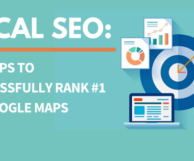 But, if you focus on these eCommerce SEO factors and implement them when designing your website, your organic visibility will not only increase, but your sales as well. The first factor that affects your eCommerce web pages is the URLs. 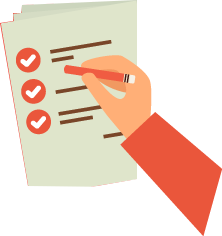 In fact the URLs are important even for all types of SEO campaigns including local SEO. So, what does your site URL look like? Which of these URLs is easier to understand and remember? The first, of course. That’s exactly what your site URL should look like. More or less, friendly URLs are the key to your site and therefore needs to be brief and explanatory. According to the 2014 RadiumOne study, we learned that social sharing has an indirect impact on SEO, especially when shorter URLs are used. So, a web page URL should guide the user/customer. They should see the URL and know exactly what the page is all about. When it comes to eCommerce website design, content plays an all-important role. Most people spend way too much time tweaking their website header, sidebar, footer, and all those fancy elements. Though these elements of web design are important, the most essential part of them all is the content. In this case, your product content. Studies have shown that content has a better way of attracting visitors and converting them into potential leads. Product content, just as every other content on your eCommerce website should be original, clear, persuasive, and should contain the primary keyword (preferably long-tail ) that you’re targeting (e.g., men’s designer cuff links online) in the title. Published content not only attract your readers, but it also improves your organic search rankings and brand awareness. We all love great visuals. As such, using visuals correctly can transform your eCommerce website and increase sales. Sure it can! However, when using product images, or typical visuals on your blog posts, you need to optimize them properly. How? By adding Image Alternative Text and Title description. Here’s an illustration that shows you how it’s done. Effective Image optimization can help you gain more organic traffic, as users search for specific images. If you have the keyword on your image title (essential) and Alternative text (optional), then you’re going to increase your chances of driving search users to your eCommerce website. If you have the keyword in your image title (essential) and Alternative text (optional), then you’re going to increase your chances of driving search users to your eCommerce website. Links are the most important SEO factors that affect eCommerce websites. We have discussed more about links in our SEO for plumbers guide here. The more links your web pages have — especially if they’re relevant, authoritative, and natural — the greater opportunity you have to dominate organic search results for your chosen keywords. Overall, having a healthy link profile is the best way to go. This means that you no only need do-follow links, but mixing them up with no-follow links can make your links look natural. Of course, there are several methods that you can use to build inbound links. The common ones are guest blogging, email outreach, interviews, blogging, and so much more. Internal links strengthen your web pages and ensure that you achieve a proven on-page SEO. One of the things it does is that it funnels link juice from one page to the other. For example, if your pages are interlinked naturally from your homepage, using the right keywords, it means that any link that hits your homepage will be spread across the internal links that are attached to it. The value will be distributed accordingly. Since 93% of all online experiences begins with a search engine, you’re likely to enjoy organic traffic to your web pages indirectly. More importantly, internal linking improves user experience on your website. Because it makes navigation seamless and tells the user that previous content is equally valuable, thereby encouraging users to check it out. No matter your customer acquisition channel, SEO should never be ignored. From my personal experience, organic traffic is the most sustainable source of traffic the moment you master the art. In other words, if you learn how to optimize a content page for the user — you can literally sit at the top 10 organic listings for 3 months, 1 year, or even 3 years and no one can pull you out — not even your competitors. If you consider that search engine optimization is a subset of content marketing, then you’ll agree with me that creating content isn’t enough — You’ve got to promote it. That’s why I recommend the 80/20 rule. 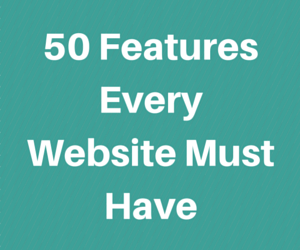 I’ve used it to grow two of my authority websites, and majority of my clients use it as well. It’s actually simple: spend 20% of your resources creating content and 80% promoting it.